This badge was issued to Patrick Hughes on 10 Oct 2018. 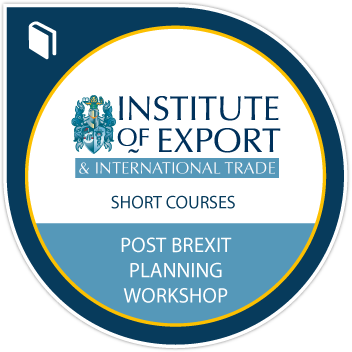 Earners of the Post-Brexit Planning Workshop badge understand the implications for existing export & import businesses in relation to trade between the UK & the EU & rest of the world. After completing this course, earners are able to anticipate the future customs legislation, tariffs, understand the importance of WTO, implications on FTAs, evaluate transport & logistics issues, analyse & minimise risks. They now have the knowledge to prepare for different medium & longer term Brexit outcomes.